This humble looking old stall somewhat caught my attention when i walked past the first time. I happened to be there again and this time i decided to give it a try. I expected it to be good as i spotted some old newspaper cuttings and an expired certificate by Makansutra displayed right in front of the stall. I was there slightly after lunch and i was the only customer then. I wanted to take away a duck hindquarter with braised egg and tau kwa together with the kway chap for 2 pax without the kway. The waiting time was a short one. It was handed to me by their PRC worker, he asked the person that took my order earlier how much to collect from me. I overheard he said $26 in Chinese and i actually thought i have heard it wrongly. I still handed $27 to the PRC worker and he given $1 change back. So, i didn't hear it wrongly after all then. 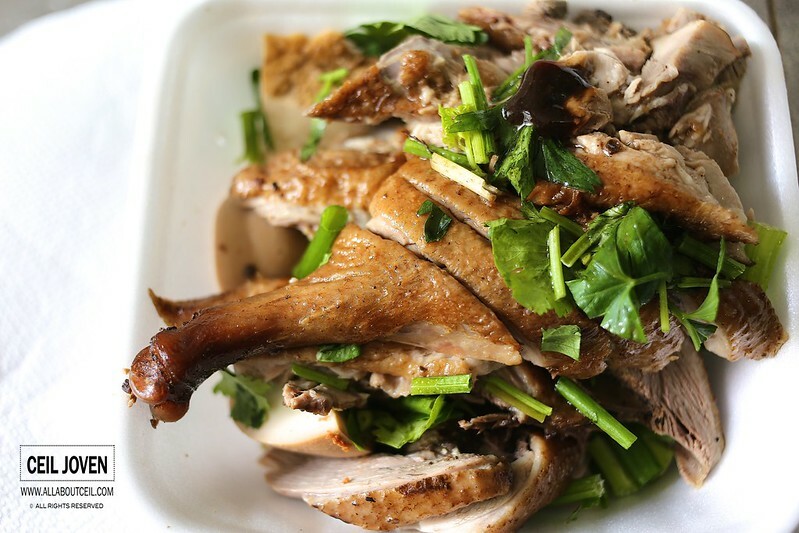 I would think $26 is a little too expensive for such a portion of duck and kway chap as shown in the pictures. Nonetheless, i was still hoping its taste to be good, at least that would make the value worth. The braised duck, failed to impress, as i have tasted much better than this. The texture was not particularly tender nor soft but with a certain chewiness. The braised sauce did not manage to infuse it well to give it a better fragrance. This would never be my top choice of braised duck and not quite likely to get me to pay more for it. 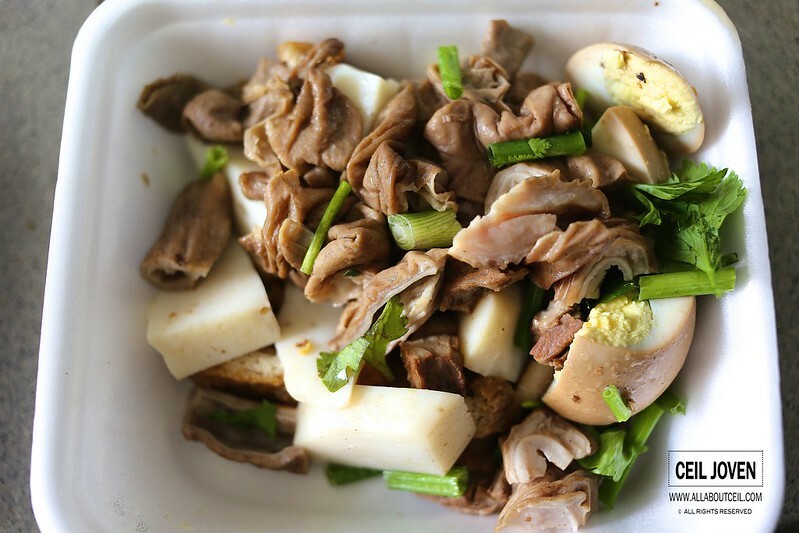 It was a mixture of big and small intestine, fishcake, tau pok, braised meat and braised egg. The braised sauce that is given along though tasted herbal-ish but it did not enhance its flavor further. It was kinda flat. The chill sauce was quite good though, it did not taste particularly spicy but it complemented nicely as a dipping sauce. I shared about my experience on the facebook. 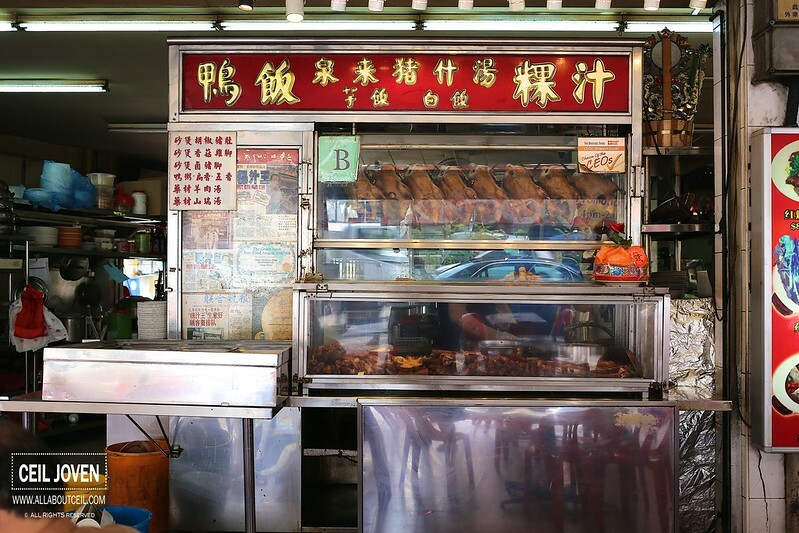 Melvin Chew, a FB friend that happened to be the owner of Jin Ji Teochew Braised Duck & Kway Chap at Chinatown Food Complex commented that this stall is notorious for over-charging their customers by marking up their prices. He felt paying $26 for those items is definitely expensive. Judging from those newpaper cuttings, it seems to be quite a popular stall in the past. It got me to wonder how did they lost that glory? Complacence might be a likely guess.